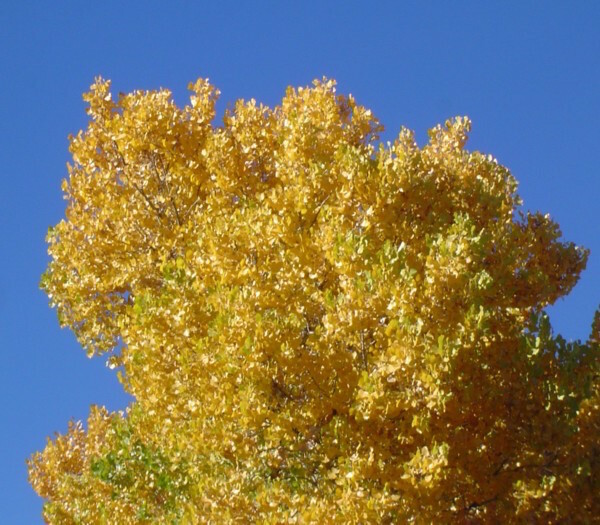 All through this blog of mine are birds and more birds and readers might logically assume that I’ve been slighting the mammals that abound in the South Valley of Albuquerque. So in this post I’m going to show you the mammals I’ve actually seen rather than all the ones known to live here. I’ve not seen any bats, foxes, bobcats, porcupines, and many of the rats and mice. 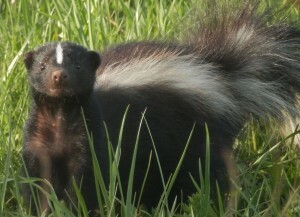 Only a block from our house I heard a rustling about ten feet from me and saw a striped skunk like this one standing on its front feet, a sure sign it was going to spray me. I ran like hell and avoided it. 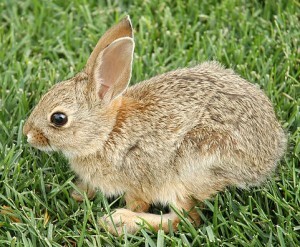 I used to see a lot of jack rabbits, but the coyotes must have eaten them. There are still plent of cottontail rabbits like this one. 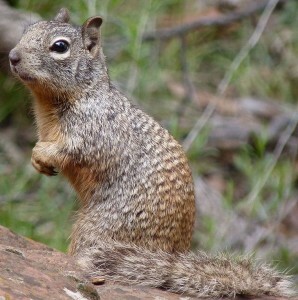 Rock squirrels are not common, but coyotes know where to find them. 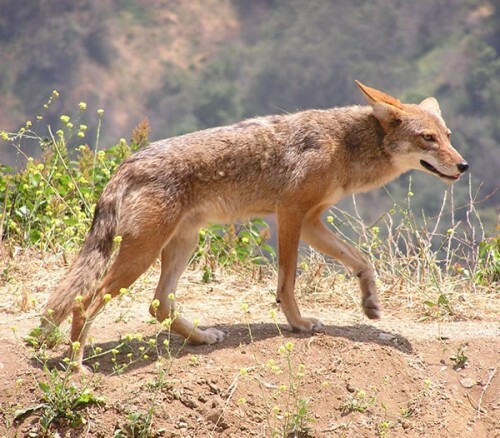 I saw one the other day in a coyote’s mouth. 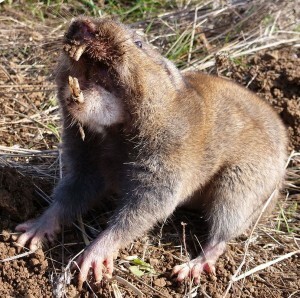 Pocket gophers like this one can ruin your lawns by eating the roots of the grass. Nothing seems to stop them. 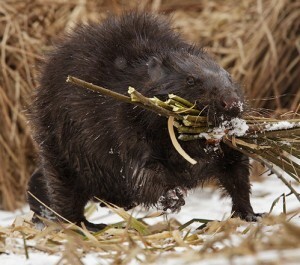 This beaver is mowing down vegetation to eat. 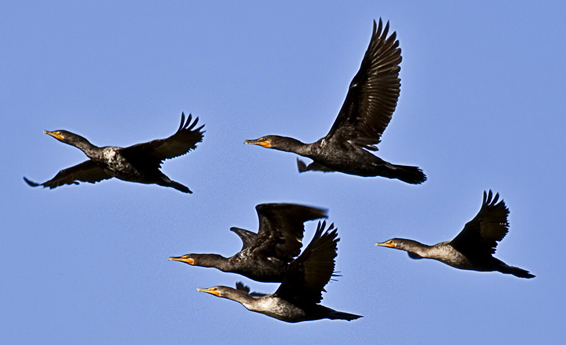 They live in the drains on either side of of the Rio Grande but do not make dams; like musgrats they tunnel into the banks to nest. 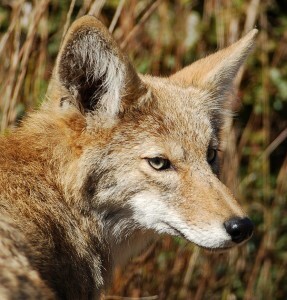 There’s a pair of coyotes that roam the 700-acre Anderson Farm that I walk around. They barked at me the first time we met years ago, but now they’ll let me get within 100 feet of them. 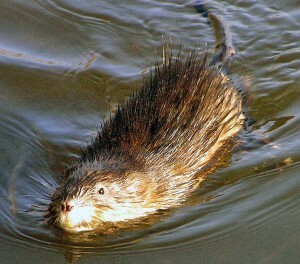 Probably the most-observed mammal that I see on my walks, the muskrat burrows into the banks of the drains to make nests and feeds on weeds and water plants. 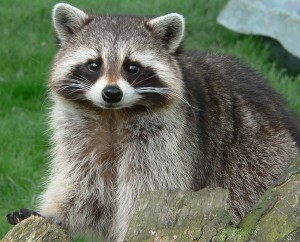 Cute as hell but very tough are raccoons. They can hold their own against coyotes.